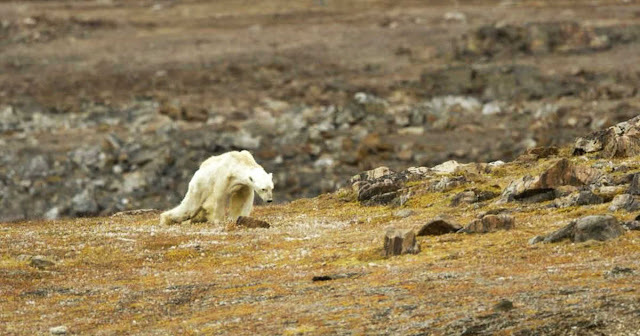 One 2015 study found that the polar bear population in the southern Beaufort Sea had declined 40% because of the loss of sea ice. A 2017 study by the US Geological Survey and the University of Wyoming concluded that bears are also spending more energy walking across a “treadmill” of drifting sea ice caused by warming, and needed to eat more to compensate. According to theWashington Post (paywall), researchers believe 80% of polar bear populations could die off if sea ice continues to disappear.